Zone·tv™ believes that everyone should always be able to find something good to watch on TV. The Toronto, Canada–based company uses artificial intelligence (AI) and human curation to create Dynamic Channels—customized and personalized video channels that draw content from a variety of sources and learn viewers’ tastes over time. 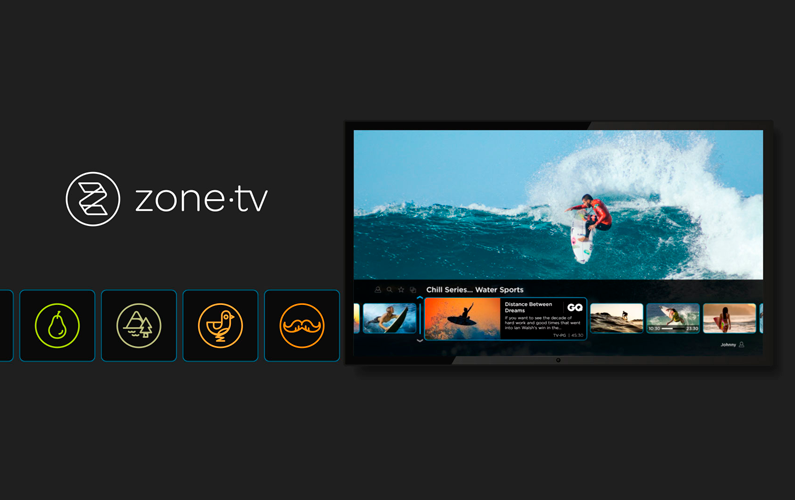 To better understand assets and increase personalization, zone·tv uses Video Indexer, part of Microsoft Azure Media Services. The company also uses Azure and Ooyala Flex Media Platform for ingesting, processing, and storing content and managing workflows—all feeding into zone·tv’s proprietary AI and Zone·tv Studio for personalized entertainment delivery to consumer endpoints. In the six years since its founding, zone·tv has offered a variety of video products, including interactive event-based popup channels like the globally popular Santa Tracker, which gets millions of viewers during the holiday season. The company is also one of the largest curators and aggregators of SVoD in North America, supplying content to some of the biggest names in the home video industry. Zone·tv initially built the majority of its architecture on another cloud platform but switched to Microsoft Azure because of the powerful services available. When the company started delving into artificial intelligence (AI), it saw great potential in using Azure Media Services, specifically Video Indexer—a cloud application built using Azure Media Analytics, and Azure Search—to further differentiate its services. Zone·tv also uses Media Services for full content delivery capabilities.